A couple whose beach-front property is crumbling into the sea are desperate for someone to take responsibility before their piece of paradise washes away. When Rodney Inteman​ and Shirley Cameron bought their stunning Waikawa Beach property, called InterVille, in Horowhenua two years ago, it had a row of “huge” sand dunes between them and the beach. 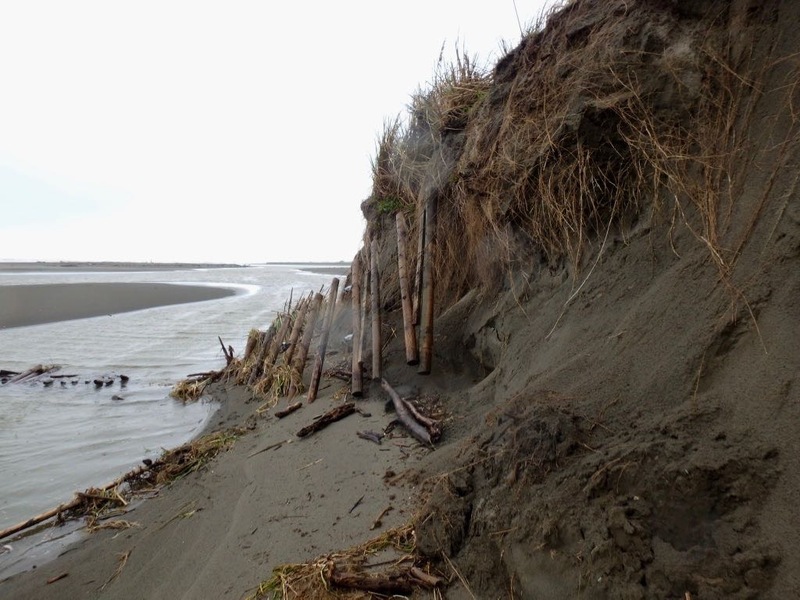 Since then the Waikawa River has changed course, carrying away the dunes and 12 metres of their land. 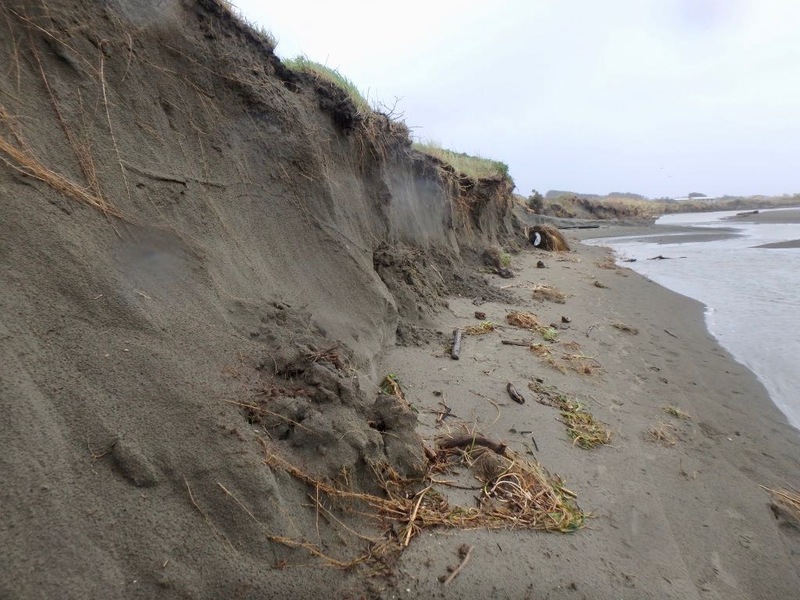 Source: Beach-front property swallowed up by river erosion at Waikawa Beach | Stuff.co.nz. Both [Councils] said they would fund an expert investigation into the erosion problems, with funding sources for potential work to be discussed next year. It’s clear that the Councils have their work cut out for them: the whole coastline is eroding apparently, and climate change is bringing higher sea levels, more intense storms, wetter storms and storms that linger for longer. The two photos below from 09 July 2018 show the bank near the vehicle entrance severely eroded, with a boundary fence collapsed into what now remains of the river. Erosion near the vehicle entrance. Erosion and a collapsed fence.